I have a plethora of lip balms and yet I still end up buying more. You always need them, after all. Being early for an appointment and looking at all the beauty goodies in Waitrose is always a little dangerous. The packaging is simple but eye catching with a slanted plastic tip applicator. 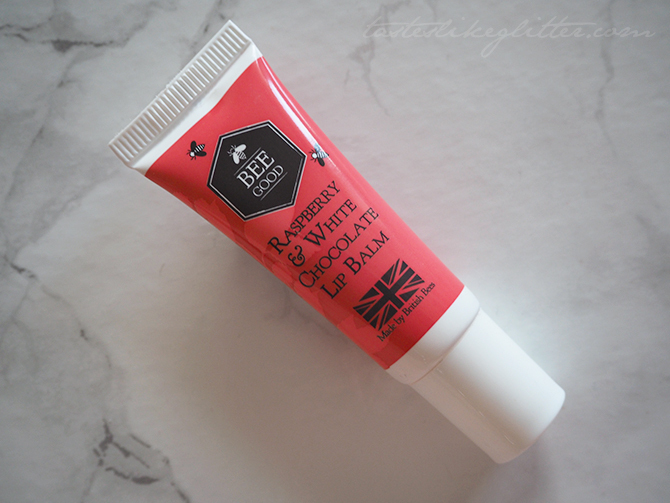 The balm itself is light and gives a glossy finish to the lips. It's perfect if you just want a little shine without it being overly sticky or uncomfortable. I do however find a little grainy which you can only feel when you rub your lips together. It's not an issue but it's noticeable. 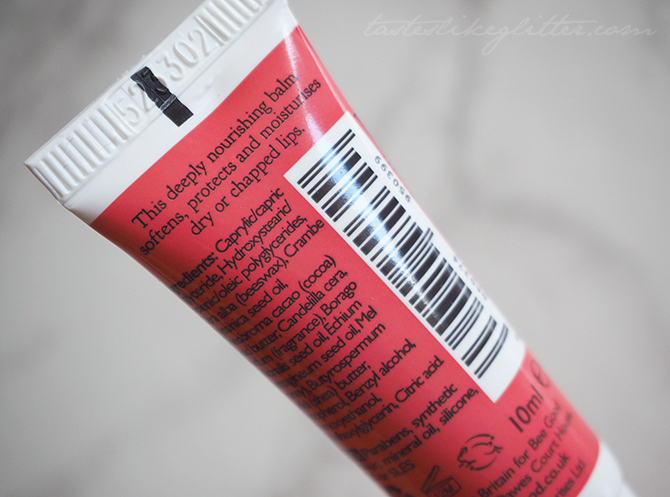 It feels moisturising and comfortable, whilst lasting a good amount of time on the lips before needing to be reapplied. The scent was picked as part of a competition a few years ago, in which people could vote for thier favourite. This was the winning combination. The smell isn't overly strong or sickly sweet but very reminescent of it's cookie namesake. It's really rather delicious! As for the brand, Bee Good was created back in 2008 by a husband and wife duo. They have numerous beehives surrounding their house and utilised the honey to start creating their natural products. Still to this day they promote the safety of British bees and really get involved in the conservation of bees.